Posted on February 6, 2012 by Joseph Alban, L.Ac. The success of an acupuncture treatment lies in the details. This is what I call the art of electro-acupuncture is in the details of how one uses the therapy. The specific stimulation machine, proper selection of acupuncture points, how long you use the stimulation, and the proper frequency are all factors in success of the therapy. In my acupuncture clinic, we use the Pantheon Research microstim machine. This is one the highest quality machines ensure a safe and effective treatment. Microstim means that the amplitude of the electric stimulation is much smaller. This is much more comfortable for the patient. Selecting the best acupuncture points is important when using the electro-acupuncture. 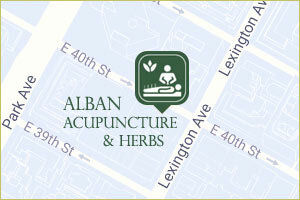 The acupuncture points should be chosen based upon the type of pain, the location of pain, and the muscle tightness. This is particularly important when using acupuncture for shoulder pain. For example, if there is an acute shoulder pain with a tight knot on the corner of the shoulder blade or on the apex of the shoulder, then the leads can be placed on acupuncture points surround the area of pain. If the spasm is very reactive to pressure, the muscle will resist too much stimulation. In that case, the leads should be placed on the acupuncture points along the effected acupuncture channel a little distance from the pain. What is the optimal duration for electro-acupuncture? The optimal time for electro acupuncture pain relief is 20 minutes. (1) Shorter is sometimes better for acute injuries, muscle spasms, and slipped discs. 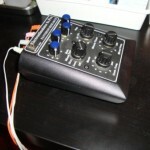 What is the best frequency for electro-acupuncture? The lower frequencies of electo-acupuncture, such 2hz, 4 hz, or 10hz, can address both pain and inflammation. Most of the time, I use 4hz or 10hz, for most joint pain and arthritis. These low frequencies can also be useful for insomnia and anxiety in some people. Is there is chronic muscle tightness that is causing pain, the higher electro-acupuncture frequencies can sometime be effective. In my last post I wrote about electro-acupuncture for a patient with Chronic Pelvic Pain Syndrome. Next PostNext What is Chinese Medicine?